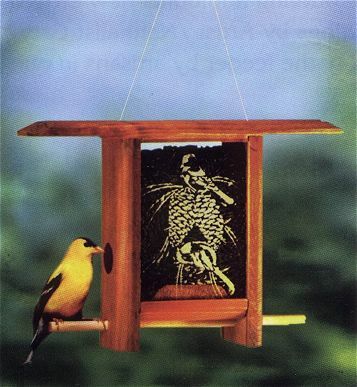 This birdfeeder features an etching of two chickadees on pine cones, this is one of our smaller Teahouse Birdfeeders. Easy viewing of the seed level and the perch pulls out for thorough cleaning. These birdfeeders have two feeding ports.